Lock in a great price for Holiday Inn Express Hollywood Walk of Fame – rated 8.2 by recent guests! Rooms very big, late check out and location is great. This property is located near the famous Holiday Walk of Fame. It is within walking distance. The property is being updated. The rooms are very nice. Good location and a very, very comfortable room. Our room was recently renovated and it was just wonderful. Lots of space to relax (my wife had a bed all to herself haha). The staff were friendly. The location was perfect. A few minutes away from Hollywood Boulevard and near Universal Studios. Great assortment on the continental breakfast! The beds were very comfy. Very clean & comfortable + The staff was very friendly & helpful. Very pleasant stay! Holiday Inn Express Hollywood Walk of Fame This rating is a reflection of how the property compares to the industry standard when it comes to price, facilities and services available. It's based on a self-evaluation by the property. Use this rating to help choose your stay! Just 8 minutes’ walk from Hollywood Boulevard and Dolby Theater, this Los Angeles hotel offers spacious guestrooms furnished with free WiFi. It serves a daily hot breakfast and offers an on-site swimming pool. Guests of Hollywood Walk of Fame Holiday Inn Express have access to the on-site fitness center as well as an on-site business center. The property id disability accessible. 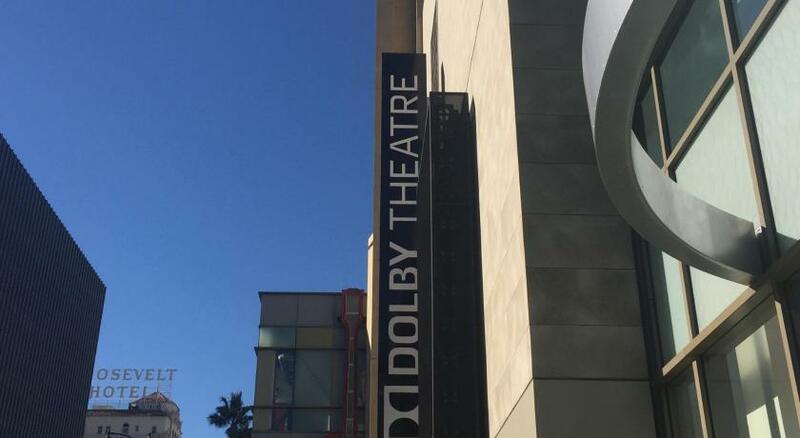 TCL Chinese Theater and the Hollywood Wax Museum are all located close to Holiday Inn Express. The shops of Rodeo Drive along with Universal Studios are also easily accessible. 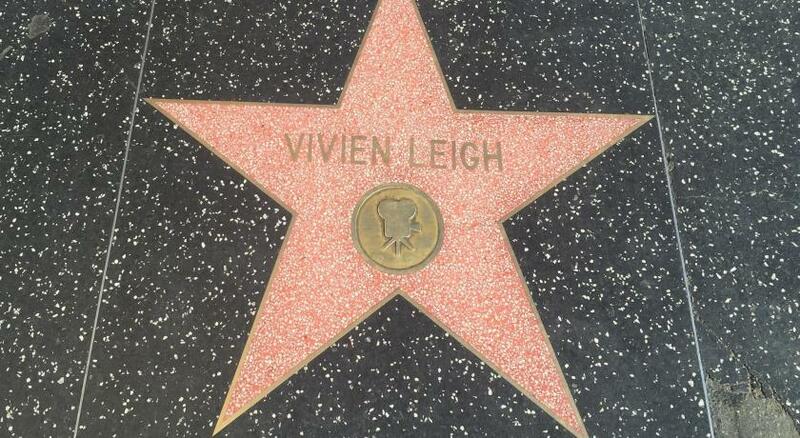 When would you like to stay at Holiday Inn Express Hollywood Walk of Fame? This bright room features a refrigerator, flat-screen TV and work desk with ergonomic chair. Bed type preference cannot be guaranteed and will be determined upon arrival based on availability. Featuring a flat-screen cable TV, this spacious and bright room provides a spacious desk and free toiletries in the private bathroom. This warm colored room features a large flat-screen TV, a refrigerator and a work desk with ergonomic chair. This warm room features a flat-screen TV, sitting area and work desk with ergonomic chair. Coffee-making facilities are included. This spacious suite provides a sofa bed, flat-screen cable TV, a large desk, and free toiletries in the private bathroom. Featuring a wet bar with a microwave and a sink, this spacious suite provides a flat-screen cable TV, a spacious desk and free toiletries in the private bathroom. This spacious suite includes a seating area, a refrigerator, a flat-screen TV, and complimentary toiletries. This room features a flat-screen TV, sitting area and work desk with ergonomic chair. Coffee-making facilities are included. This room has a flat-screen cable TV, a spacious desk and free toiletries in the private bathroom. House Rules Holiday Inn Express Hollywood Walk of Fame takes special requests – add in the next step! Holiday Inn Express Hollywood Walk of Fame accepts these cards and reserves the right to temporarily hold an amount prior to arrival. The fact that guests are charged for parking. The breakfast. Weak coffee. Bread a little stale. Eggs appeared microwaved. Did not enjoy the breakfast at all. Renovations were ongoing so couldn't swim as hoped; but I guess that has to happen at some point. A little costly for a basic establishment undergoing renovations. The location was perfect; close to the attractions we wanted to visit and close to the train station. The staff were REALLY nice and friendly. Gym and pool unavailable due to construction, still had to pay full price. Nice size rooms, friendly staff, complimentary breakfast, location. Quite pricey but for Hollywood, I expect it's quite reasonable. A great little hotel that is very close to the action in Hollywood Boulevard. Literally, only a couple of hundred meters to the Chinese theatre. We happened to be there on Oscars night and a lot of the roadways were sealed off by police, which caused problems with driving in the area. Rooms were clean and tidy with large single beds. Rooms very clean and I would recommend this establishment. The hotel is currently under renovations but no disruption to guests. Our room was spotlessly clean, towels were changed every day. Staffs are all very friendly and helpful. Marieta and Veronica in the dining room are two lovely ladies, always ready to help. Location is spot on, less than 10 minutes walk to Hollywood walk of fame and local shops. Recommended!! Room lighting was poor. No early check in. The hotel is undergoing a major revamp but this did not inpact at all. Our shower was blocked, and it took a couple of hours to get it resolved. Due to the ongoing renovations, there was a lot of the hotel blocked off, and the directions to the laundry room were confusing. Buffet breakfast is very boring and not tasty. Coffee is watered down too. Hotel is older but some of the rooms are renovated inside. Elevators are confusing - gotta change on diff floors.